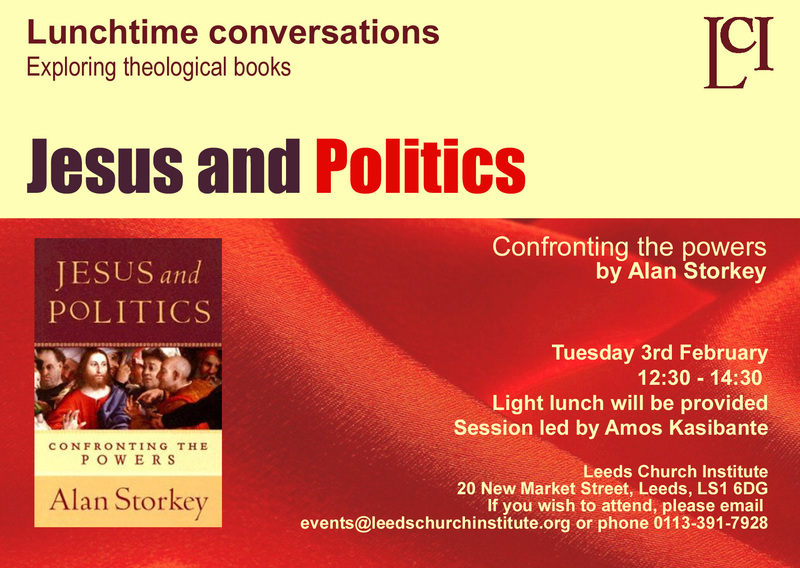 Jesus and Politics: Confronting the Powers by Alan Storkey. Session led by Amos Kasibante. A light lunch will be provided.